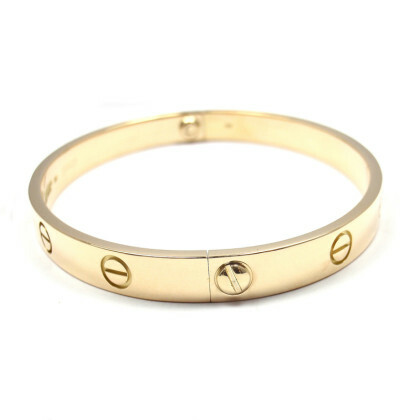 Description: Cartier love bangle in 18k yellow gold, size 16, with Cartier pouch. condition. A child of 1970s New York, the A collection serves to seal love that transgresses convention. The stark screws, ideal oval shape and undeniable elegance establish the piece as a timeless tribute to passionate romance. 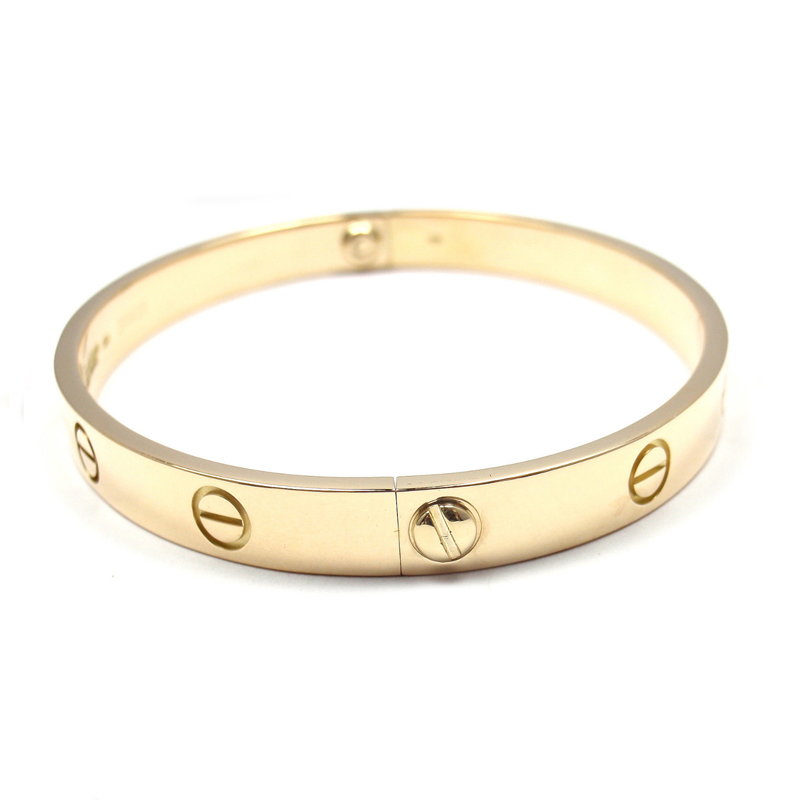 The bangle comes in a Cartier pouch with Cartier screw driver and our own certificate of authenticity and valuation certificate.